We’re always looking for ways to make better decisions using data. We previously posted map balance data, and it’s time for an update! Below you’ll find some current statistics for the Active Duty map pool. Some maps, like Dust2, have not changed much since our previous post. Others, like Cobblestone and Overpass, have changed dramatically. Check out the results below, and let us know what you think! 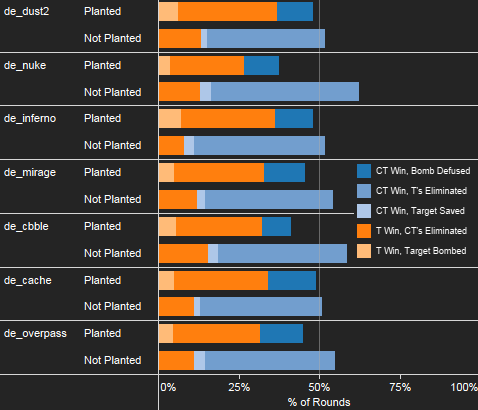 The round results below show the likelihood of the T (orange) or CT (blue) side winning a round, using data collected over the past month from the highest skill groups in competitive matchmaking. Click here for a full dataset that breaks down each map by skill group. Overall round outcomes are a broad first-pass, but we can already see some interesting trends – Dust2, Cache and Cobblestone tend to produce similar results. Overall round outcomes don’t tell us much about what happens in an individual round. To find out how the T and CT side got their wins, we can break down rounds based on whether or not a bomb was planted. And now some differences emerge. 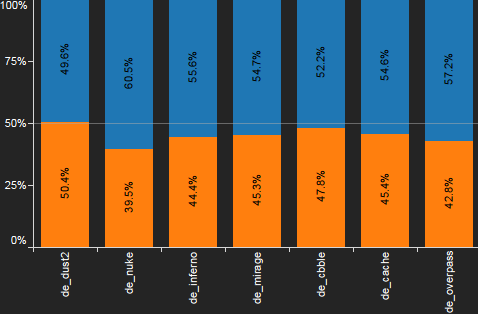 Dust2 and Cache still look fairly similar, the bomb is planted in nearly half of all rounds, though CTs tend to defuse more often in Cache. In Cobblestone, the bomb is planted far less frequently (in this respect, Cobblestone is more similar to Nuke), but is protected by the T-side very effectively. 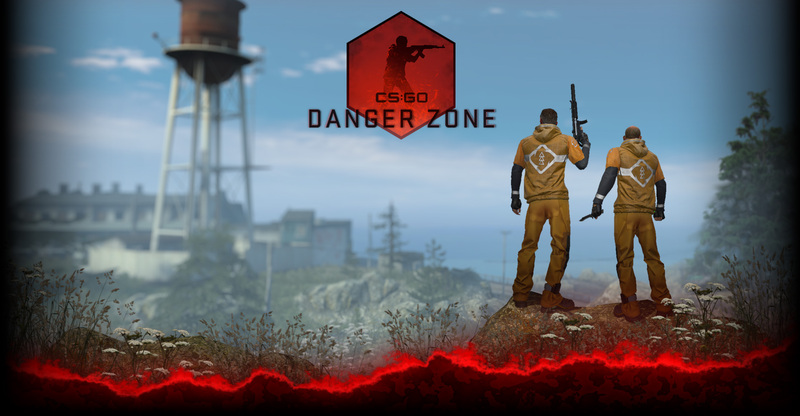 We’ll continue to share data as we make further adjustments to maps in CS:GO. Take a look, and let us know what you think!